Rod Coyne’s exclusive canvas print Bridge at Meeting of the Waters, Avoca is only available through Avoca Gallery and is the perfect gift for art-lovers and Ireland fans alike. This canvas fine art print available in small, medium and large sizes. It is framed and the price includes FREE world wide delivery. Bridge at Meeting of the Waters, Avoca is a canvas print derived from an original oil on canvas painting by Rod Coyne. 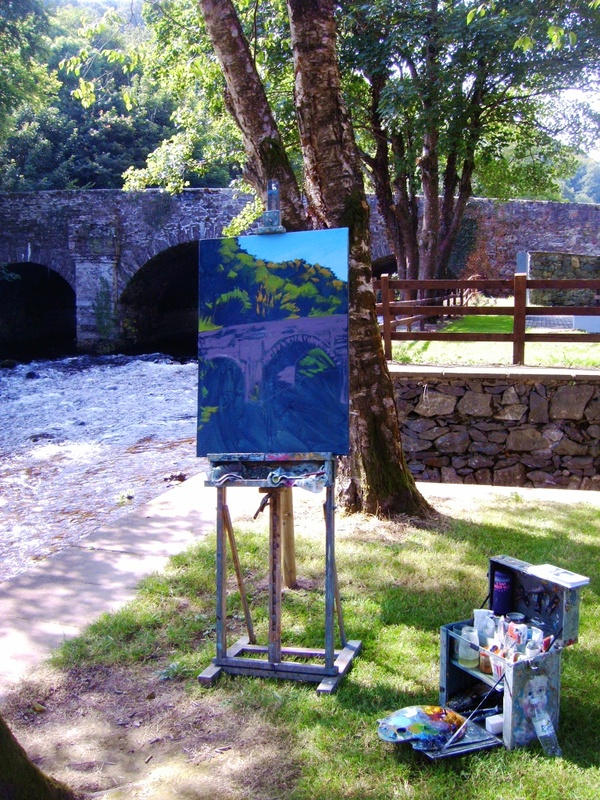 That was painted in 2012 as live demo celebrating the opening of the Thomas Moore Memorial Park at the Meeting of the Waters, Avoca, County Wicklow. That picture belongs to Rod’s palette knife period and is typical of his work in that phase of his career. This hard-edged vivid style perfectly portrays the crisp sparkling waters as they tumble under the rough stone 18th century bridge. At the Meeting of the Waters, the Avonmore and Avon Beg rivers come together to form the Avoca River. It was here that Thomas Moore penned his famous Irish Melody, “The Meeting of the Waters”. The lyrics describe a beauty spot in the Vale of Avoca. Moore reflects on the good times he spent there with friends. Moore’s lyrics were set to a traditional Irish melody called The Old Head of Dennis. Meeting of the Waters: sheet music. 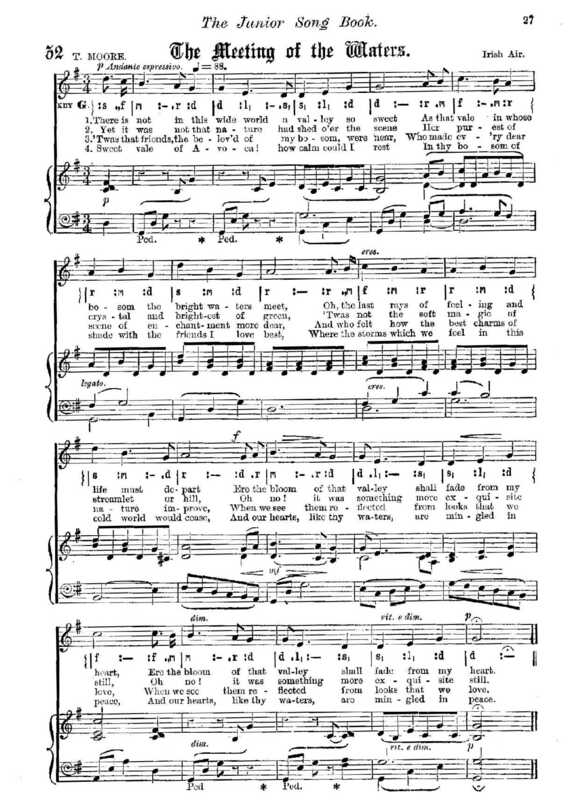 The song was written by Moore in the Summer of 1807. The song is about the valley where the River Avon Mor and Avon Beag meet in the Vale of Avoca. Despite its undistinguished lyrics the song brought fame to the location and ‘the meetings’ became, and is still, a popular tourist destination today. The Avon Mor flows through Avondale the Parnell family demesne. Parnell’s Grandfather asked Moore if he would say that he wrote the words of the song in the grounds of the demesne. Moore however recognising that the mystery of where the song was written would add to its value remained tight lipped.